The Virginia Chamber of Commerce announced the names of 50 of the fastest growing Virginia companies at the 21st annual Virginia’s Fantastic 50 Awards Banquet on April 28 at the Westfields Marriott in Chantilly. More than 400 attendees participated in the banquet to celebrate the success of these Virginia entrepreneurs, and Devils Backbone Brewing Company was named the top manufacturing company in the state. “The Virginia Chamber exists to promote the free enterprise system and advance a better business environment in the Commonwealth for private sector businesses to succeed,” said the president and CEO of the Virginia Chamber of Commerce Barry DuVal. “The 50 companies being recognized today are the ones who are leading that success by raising personal incomes of Virginians, attracting top talent, and making their communities better places to live and work. We are pleased to honor the entrepreneurial spirit and hard work of these business ventures.” At the conclusion of the awards banquet, the Chamber announced five Virginia Vanguard winners, recognized for the highest growth in the categories of retail/wholesale, service, technology, manufacturing, and recognizing the company with the highest overall growth in Virginia. 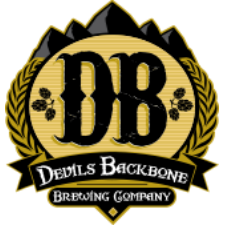 This is the second year in a row that Devils Backbone has taken home the top honor for manufacturing. About the Awards—Virginia’s Fantastic 50 award program is a signature event of the Virginia Chamber of Commerce. Now in its 21st year, the Fantastic 50 program is the only annual statewide award recognizing Virginia’s fastest growing business. To be eligible, a company must be privately held with headquarters in Virginia, show sales between $200,000 and $200 million, and demonstrate positive revenue growth and positive net income in its most recent fiscal year over the previous year. Companies are judged on four-year sales revenue history. The professional service firm Dixon Hughes Goodman verifies all award entries.